Heritage Auctions says the poster was put up for auction by the family of longtime cinematographer and photographer George J. Mitchell Jr. This undated photo provided by Heritage Auctions shows a rare poster for the 1931 horror film "Dracula" that has sold for $525,800. Dallas-based Heritage Auctions said the sale Saturday, Nov. 18, 2017, appears be the highest amount a movie poster has garnered at auction. Heritage says the poster, which features the image of actor Bela Lugosi as Dracula, is one of only two known surviving of that particular version. 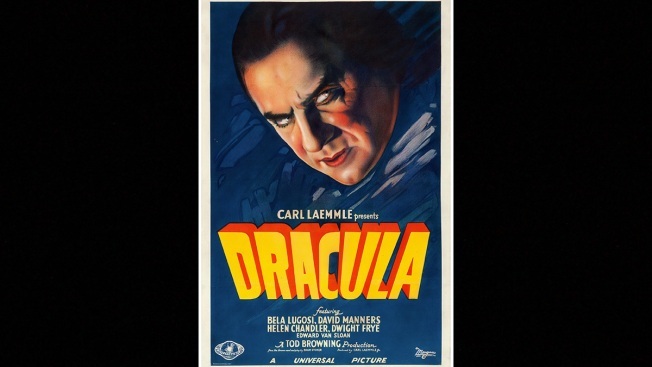 An auction house says a rare poster for the 1931 horror film "Dracula" has sold for $525,800. Dallas-based Heritage Auctions said the sale Saturday appears be the highest amount a movie poster has garnered at auction. Heritage says the poster, which features the image of actor Bela Lugosi as Dracula, is one of only two known to be left of that particular version. The buyer wishes to remain anonymous. Heritage says the poster was put up for auction by the family of longtime cinematographer and photographer George J. Mitchell Jr., who had owned the poster since the 1950s. Mitchell's son, Arthur Mitchell, said in a news release that his late father, who loved horror films, had childhood memories of seeing "Dracula" when it was released.